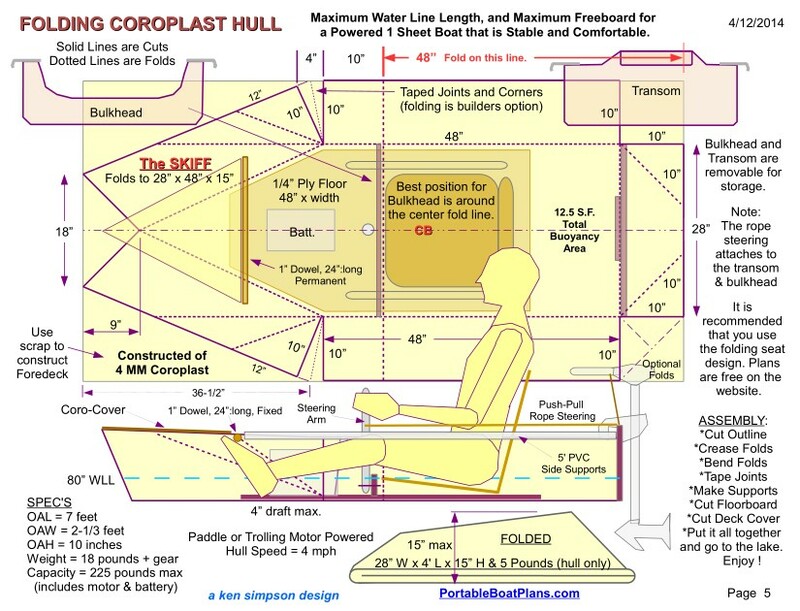 There are 4 + different hull types defined on these plans. Each has it attributes, and shortcomings. 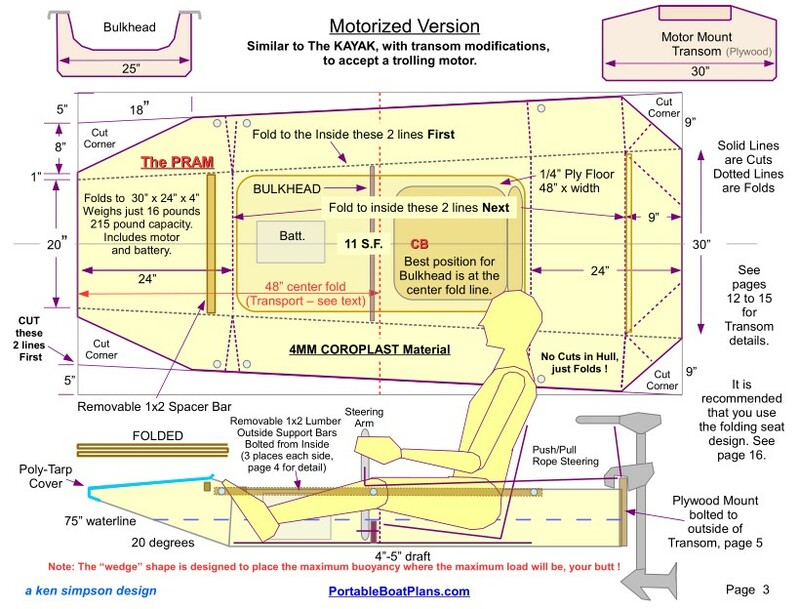 All are for a single occupant, and all have a maximum capacity of about 220 pounds, including all gear. 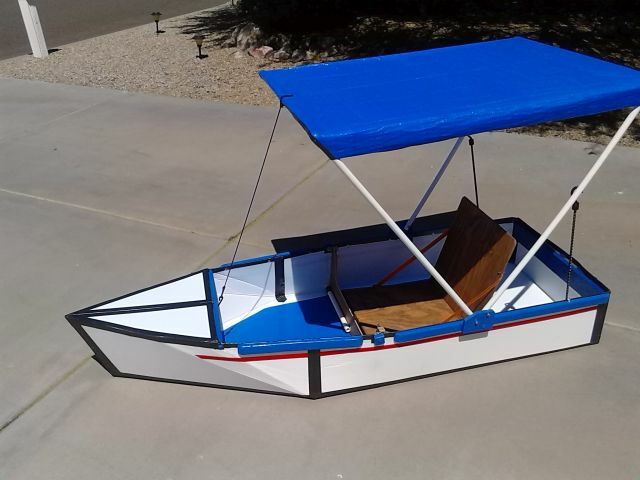 The intent of these designs is to provide a lightweight, easy to build small boat, that will fit in any vehicle for transport, and is inexpensive to construct, maintain and operate. Let's take a look at them. Click on each photo to enlarge and view. As you can see, these are fairly simple designs, all intended to be very portable and durable. 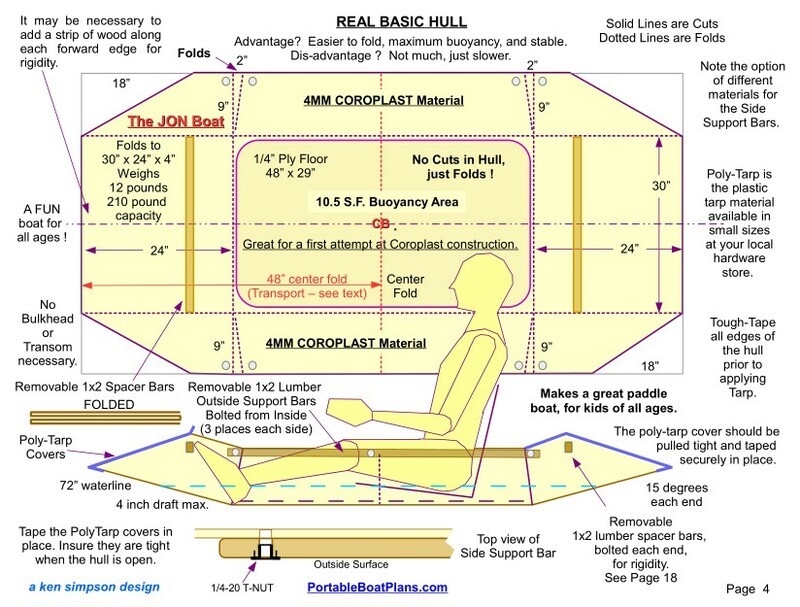 The Coroplast material is very lightweight, and the bare hulls each weigh only about 5 pounds. Add supports, a floorboard and a seat, and the weight is still less than 20 pounds. 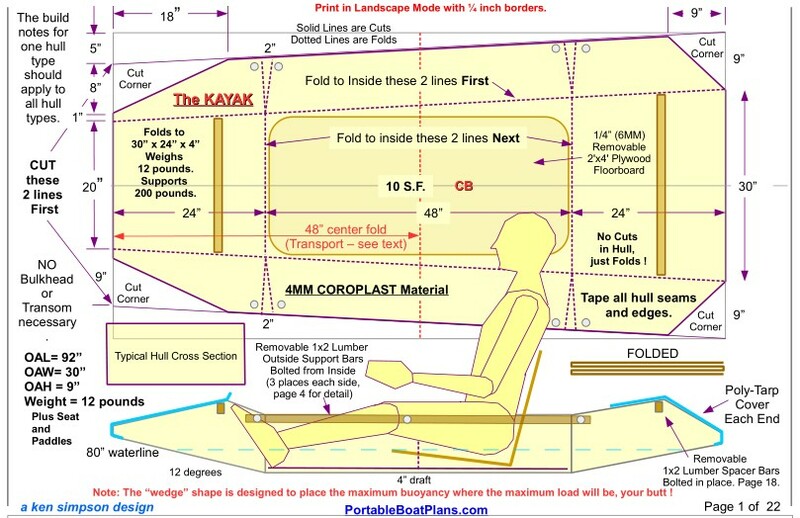 The KAYAK could easily be backpacked, with a folding floorboard. This is the starting point, a 4'x8' x 4 MM sheet of Coroplast. Easy to mark with a pencil, and cut with a utility knife. The outline of the SKIFF cut to shape. Temporarily held together to show the hull form. Applying Scotch Tough Tape along the seams and edges of the hull. The finished hull folded for storage and transport. At water's edge, ready to paddle for the first time. Finally on the water ! It draws less the 3 inches, loaded. And now with a folding sun canopy too ! THE PLANS ARE NOW AVAILABLE ON DUCKWORKS. Thank you for your continued interest in these unique hull designs.